Mugwort Hydrosol is known to facilitate safe, lucid dreaming! Just mist your pillow and sheets before bedtime. It is deeply energertic and spiritual by nature. The plant itself is burned in many Native ceremonies for space clearing and meditiation. It was believed that Mugwort in your shoes will help keep your strength up in long walks and generally protect you during a journey (hence the name Traveler’s herb). 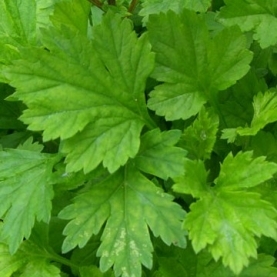 Mugwort hydrosol can be used as part of a cleansing program to clean the blood, detoxify the liver, and imporve overall digestion. Note: May stimulate menses. Do not use when pregnant, with babies or young children.